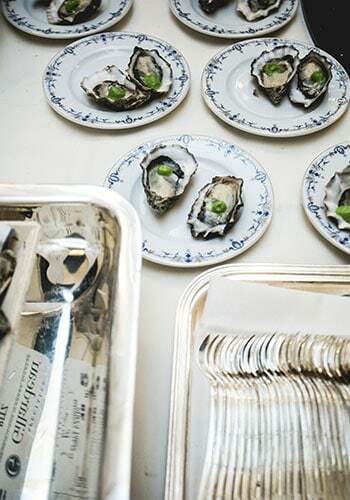 The cuisine revolution took the world by surprise when it began fifteen years ago. A passion for celebrity chefs, the precise selection of ingredients, the emergence of a foodie culture, the rediscovered value of terroir, and the upsurge of organic cultivation, to name just a few of its aspects. Eating has progressively become a cultural act, both for reasons linked with the latent narcissism of a generation immersed in social media, and other reasons with their roots in a political and dissenting attitude that is about eating better, more naturally and more healthily, and adopting a more ethical approach to agriculture. This quest for a more meaningful interpretation of food is every bit as remarkable as the emerging passion for cooking. Every restaurant format has played its part on this new world stage as it has developed. We have therefore seen the combined, parallel and simultaneous emergence of all types of restaurant service. Along with all the major trends and – often – confusions that can sometimes make us smile, like Asian street vendors being awarded Michelin stars. That said, each type of restaurant, from the most established to the most short-lived pop-up has managed to hold its own. For proof of that, we need look no further than the success of food trucks in the USA, which have given many chefs the opportunity to get started, or the multiplicity of London pop-ups that have allowed dozens of professionals to get a foot on the career ladder. Within this vibrant, spirited and sometimes deafening concert, one leading player remains, despite being heckled by the changes now underway. I am talking here about the top-class fine dining restaurant. This important player really emerged before the Second World War, thanks to the technical contribution made by Chef Escoffier, the appearance of Michelin stars in 1931 and the acclaim for La Mère Brazier, whose owner/chef Eugénie Brazier was the first to run two 3-star restaurants. This format was to assume crucial importance in the immediate post-war years. Wartime shortages and rationing gave way to 30 years of strong economic growth (Les Trente Glorieuses) and a period of abundance. Dumaine in Saulieu, Point in Vienne and Pic in Valence formed a triumvirate that headed the fine dining restaurant scene outside the capital. They complemented Parisian star establishments, such as Raymond Oliver’s Grand Véfour, Louis Vaudable’s Maxim’s and Lucas-Carton. Not to overlook the magic created by René Lasserre and André Terrail at La Tour d’Argent. As a welcome coincidence, it was during these years – 1954 to be precise – that the association known as Traditions et Qualité was formed. It was this association that decades later would become today’s Les Grandes Tables du Monde. The great restaurants of that time embraced the same principles we still recognise today. It was simply less culinary and more celebratory. It was a place designed for fun and to be seen in while enjoying simple dishes. Salads and modest dressings still appeared on these menus. Beginning in the 1960s, a new generation of chefs would change the status quo and reinvent this restaurant model. Their names were Bocuse, Guérard, Troisgros and Senderens, and they effectively reinvented this profession. Firstly, they became owners of their own restaurants, which allowed them to make their own decisions and promote themselves. They were also professionals in communication. Next, they redesigned cuisine itself, freeing it from the diktats set by Escoffier half a century earlier. They introduced a new lightness to reveal and enhance the freshness of their ingredients. As well as being a display of social standing, the restaurant now offered an additional dimension: a strong culinary experience created out of discovery and innovation. Personal styles were asserted. It became fashionable to take advantage of the rise of private motoring to ‘make a trip’ using the Michelin guide, and visit these restaurants, each with their own distinct personality in which exceptional chefs with a gift and enthusiasm for communication expressed their multiple talents. One important clarification: all of this happened in France from the 1960s onwards. Nowhere else. It is incontrovertible that we gave birth to the fine dining restaurant; a trend that the French would effectively export to Belgium, Switzerland and Italy with Gualtiero Marchesi, and then on into Spain with chefs such as Pedro Sujana d’Akelare and Martin Berasategui. It was at this time that the characteristic features of the fine dining restaurant would emerge: its decorative style, personal welcome, exceptional cuisine crafted from the freshest and most beautiful produce, the best wines and elegant, considerate front-of-house service. The end result was structured around cuisine, service and wines to ensure that diners enjoyed every dimension of the fine dining experience. The formula seemed simple, but there can be no doubt that its consistent and regular execution was, and remains, extremely difficult. But the French achieved it. And they had a substantial head start. While restaurants of every size and type made amazing progress during the cuisine years, we might justifiably ask ourselves what the place of the great fine dining restaurant is today. Expensive, lengthy and full of codes and manners, is it really a dinosaur destined for extinction over the longer or shorter term ? Or does it still have a brilliant future ahead of it, given the media exposure enjoyed by today’s chefs ? 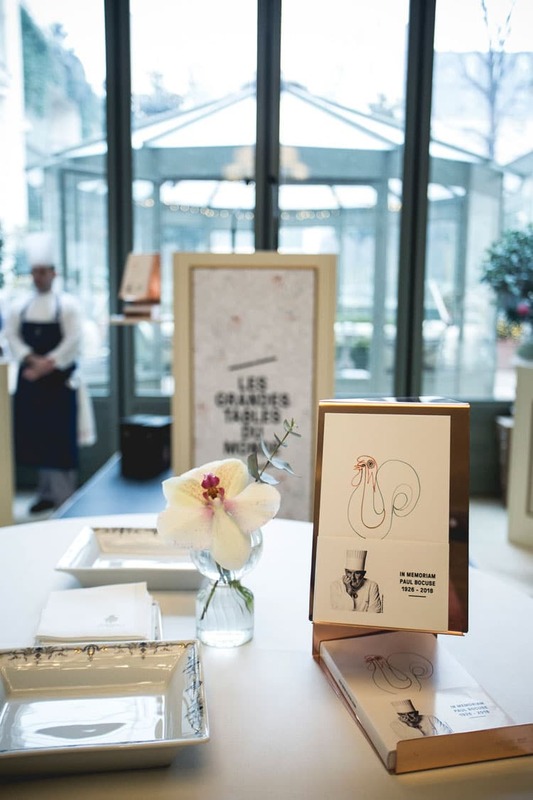 At Les Grandes Tables du Monde, we believe that this format – atypical and elitist as it intrinsically is by nature – is an essential component of global cuisine. We would go so far as to say that behind the decorum that some love to criticise lies an essential component of any culinary culture. Our belief is that without the great restaurants of the world, we would have neither a vibrant cuisine nor a living culinary culture. They act simultaneously as experimental living laboratories and conservators of traditional practices and skills. Innovation and tradition. The formula is understood, but applies particularly to the world of fine dining. Culinary innovation is driven by the kitchens of the world’s great restaurants. It is here that new approaches are conceived and created, and it is where new ingredients are tested. Chefs have always understood the need to coach producers to improve ingredients. For example, the great French chef Jean-Louis Palladin – now sadly departed – introduced the principles of better fishing and farming to the East Coast of the United States. He applied his evangelistic determination to improve local production. And we find the same in all those countries that have allowed chefs to assume a role of prime importance. Spanish agriculture owes much to the generation of culinary pioneers in the region around San Sebastian. Their success energised and publicised some of Spain’s best local artisan produce. The twin roles of talent spotter and sounding board are essential in the world of fine dining. They directly influence the vitality of cuisine. There is no shortage of examples that demonstrate how in 1980s Italy or, more recently, in Peru during the last decade, it has been the chefs who promote iconic recipes and energise the production of ingredients. So from the point of view of tradition, fine dining has not lost its important role. But it is also the sum of expertise accumulated from generation to generation. Nevertheless, this body of expertise must be revisited and carefully selected, but its core has no need to evolve, since it remains current and relevant. 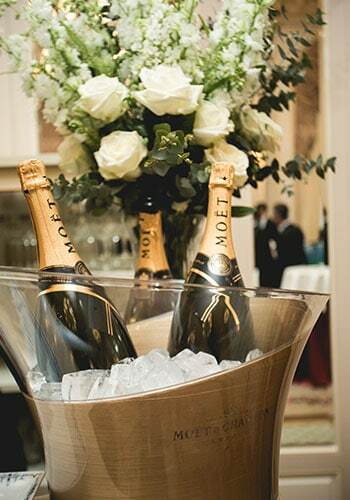 Having made our selection, we must measure the essential value of this body of techniques, attitudes and practices that makes fine dining a relevant and ongoing expertise and personal skill. This is the reason why we can talk in terms of a French way of exercising the professions of hospitality and cuisine. This French body of knowledge has spread throughout the world thanks to the virtues of training and the personal transfer of skills. 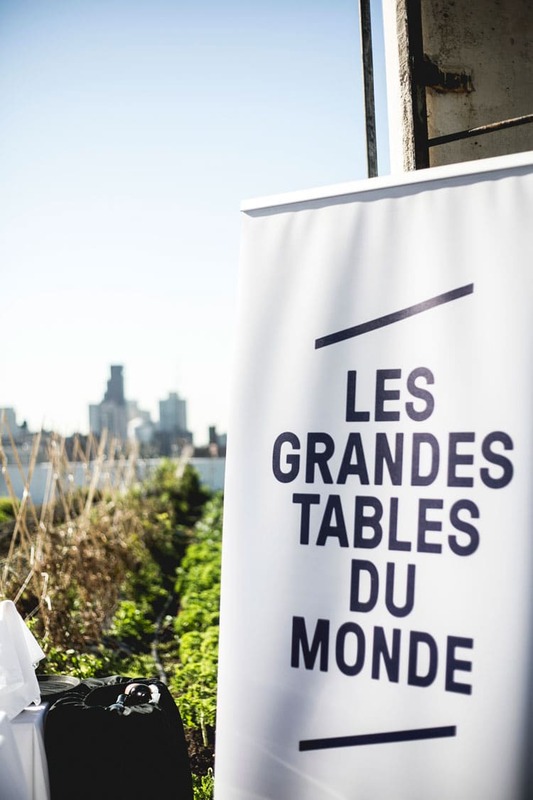 It defines what unites Les Grandes Tables du Monde today. Ultimately, fine dining acquires its cachet and relevance through one last strength which we see as essential. It is the final element that allows us to confirm the crucial role played by the great restaurants of the world today. Since the digital revolution began 15 years ago, we have been living in a progressively more digital world. The GAFA have been joined by the NATU, such that many of our everyday needs are now met by online digital platforms. Finding accommodation, travel and eating are all greatly facilitated by the digital revolution, which has applied technology perfectly in ways that make everyday life smoother and easier. But to the detriment of one essential element: the human touch. The power of the digital world has meant that the human touch has disappeared from many processes. In a few cases, people are just the final link in the service delivery chain. The person who hands you the package you ordered from Amazon, your Uber driver or the receptionist in the hotel you booked through booking.com. Without wishing to denigrate the convenience delivered by these new stakeholders, it is nevertheless valid to regret the very real reduction in the need for personal service that comes with them. This is where the great restaurants of the world retain the lead, because no part of the service they deliver can be subject to this process. People, their appearance, their hands, their actions and their skills are indispensable and essential to ‘producing’ the fine dining experience. To us, it is obvious that this human element of fine dining explains its ongoing popularity and appeal. 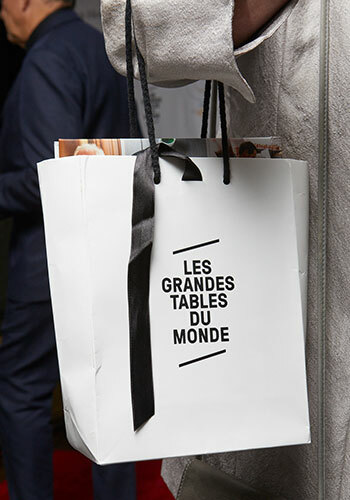 At Les Grandes Tables du Monde, we are proud of that, and we insist upon it. Since its inception at the beginning of the 20th century, and its acclaim in the 1960s and 70s, the fine dining restaurant deserves, now more than ever, to be central to our conversations, since it determines our relationship with food and cuisine. It is the centrepiece of the table. A sharing table, of course.